WESPA, the World English-Language Scrabble Players Association, has released its first major overhaul of the ratings system since inception,. Several known issues faced by the old system have been remedied, with the new system available online through Aardvark. The changes make ratings fairer, particularly for new players in the system. Provisional ratings for the first 30 games. Problems with multipliers have been fixed. Backdating of changes to 2004. The result of this is a stabler, fairer ratings system, and one that has increased the capacity and lifespan of the original WESPA ratings system through a number of smaller fixes and changes. Click the link below to learn more about the world ratings changes. 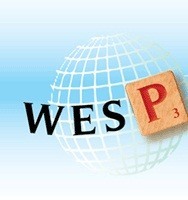 The WESPA ratings system has been the cornerstone of WESPA's efforts to globalize tournament Scrabble, enabling players to know exactly where they stand at the international level on a consistent basis and not just in terms of a single tournament.